Jesus wants to help our unbelief. And there are a number of ways He does so. And one of those ways is through His Word. Listening what He has to say and seeking to understand it more. As you seek out God through His spirit and through His word, you learn that the more you get to know Jesus, the harder it is not to believe these things. God does and will reveal Himself to you in greater and bigger ways, but it starts with our faith in Him and His word. When you begin to live a life that radically chases after Him, you will find a God who radically reveals Himself to you. 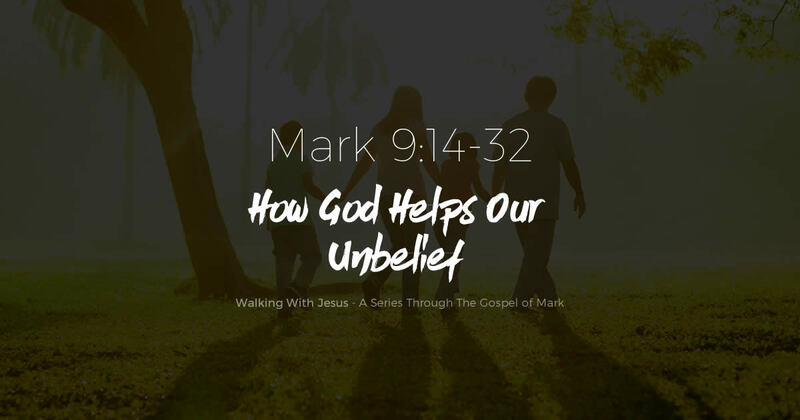 Here are some more ways God helps our unbelief.